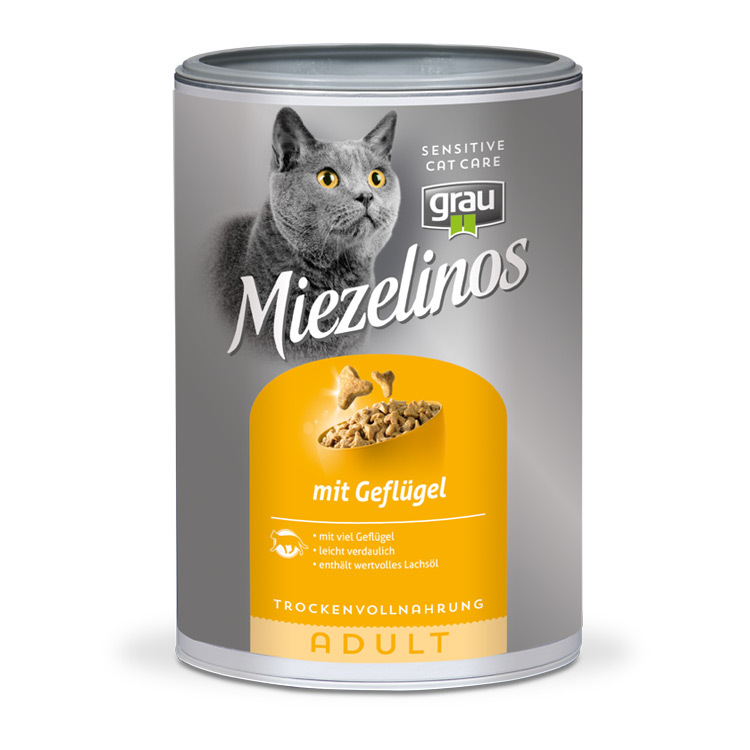 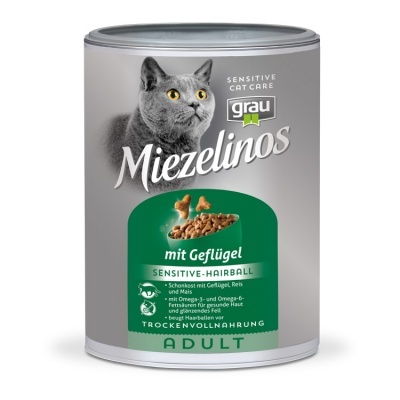 Miezelinos ADULT with poultry is a delicious change to the menu for demanding cats. 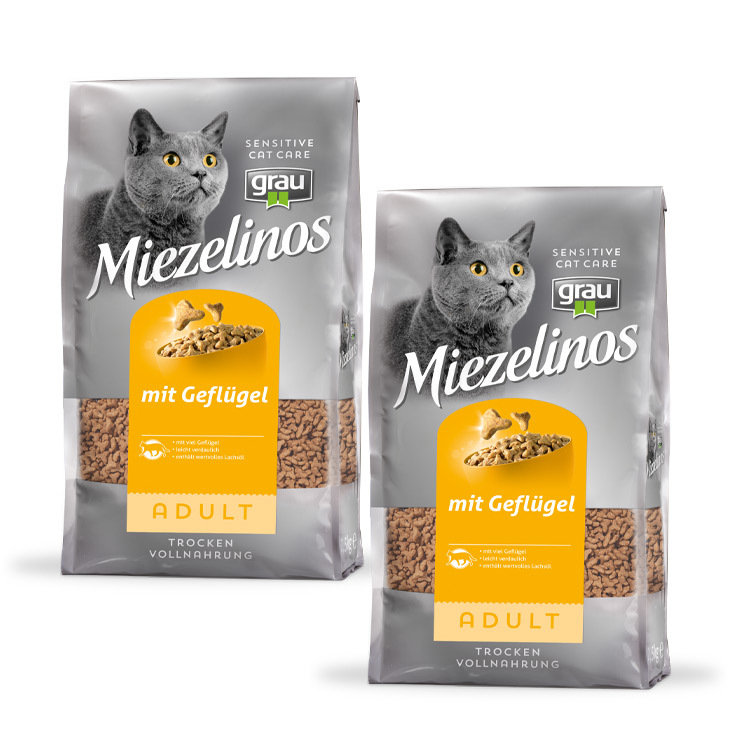 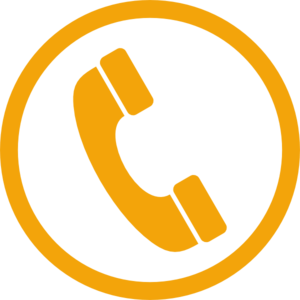 It is especially suitable for cats that prefer an extremely tasty and easily digestible complete food. 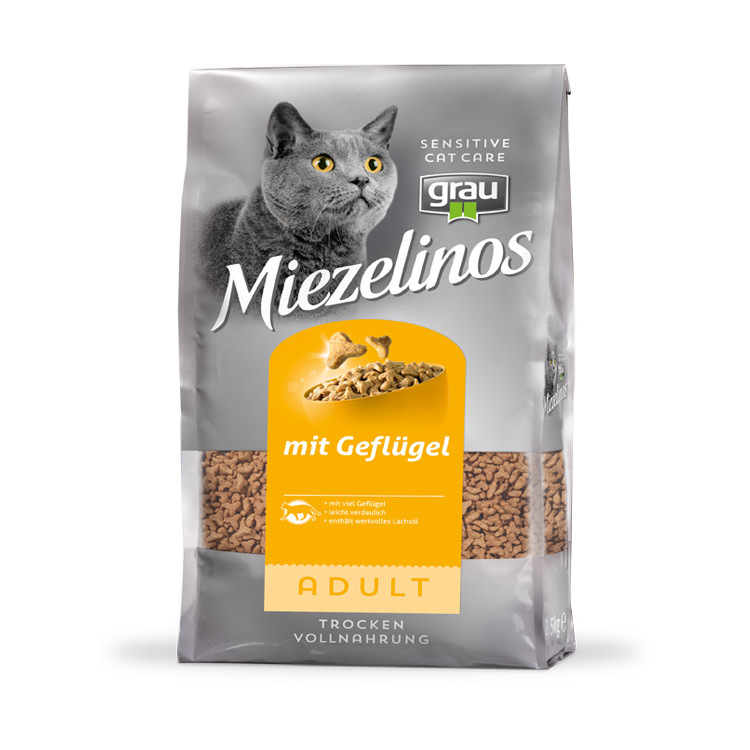 This dry complete food is ideal for adult cats who go through life without coat, fur or gastrointestinal problems. 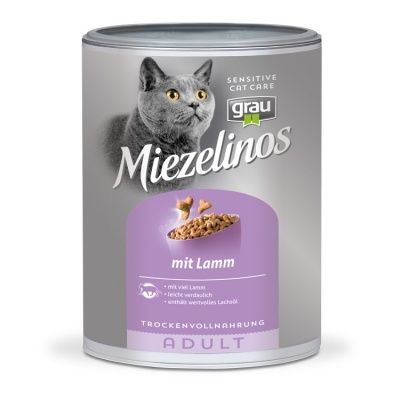 It provides optimal supply of all the nutrients that the body needs daily.